Last week I shared with you part of my personal journey experiencing parental alienation through the holidays. As you have read parental alienation in my personal life cuts very deeply. 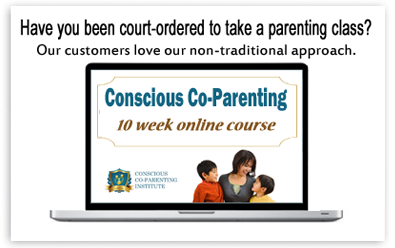 The Parental Alienation in my life stems from my childhood that has evolved into my work with Conscious Co-Parenting Institute. Some of you know I have a very tumultuous relationship with my mother. It’s certainly not for my lack of trying to have a better relationship with her. When you’re dealing with an alienating parent even in adulthood 35 years after she divorced my father she still has his behaviors. Unfortunately she has turned her alienation from directly at my father to me. Last year when my mom turns 60 in bottom of beautiful pendant it was filled with healing stones when I picked it out I had no idea what the stones meant I just saw the necklace it really spoke to me about my mom I really wanted to reach out after all these years and try to heal our relationship. It was interesting when someone pointed out that the stones meant something and I read the card I was blown away by how much those stones were meant for her. I sent the necklace first and then the next day I e-mailed her a 12 page letter. The letter was a letter of forgiveness, a letter of love, and a letter to reconnect. I was extremely hurt by my mother when she so graciously accept the pendent and then when she received the letter chose to not speak to me again. People could read this and pass judgment on my mother and there are many many things that she has done through the years that certainly would raise a few eyebrows, create or looks on peoples faces of horror when they hear the stories, and interestingly as most of you know who deal with people who alienate children from their other parent there is a master manipulator so the people closest to her she is able to manipulate to believe for toxic lies. This is not a blog post about bashing my mother is more of a post about enlightening people to how damaging their behavior is to their children. I believe that when we were young my mother really did feel that she was doing the best by not allowing us to see our father at first but then what evolved into parental alienation or shall I say extreme alienation was my mother’s undying desire to sever all ties with not only my father but my father’s family and even her own. When you disagreed with my mom she tell you out if her life and then of course ours. She never once thought about the repercussions or the long-term damage that would have on her children. I believe the parental alienation stems from a place of fear and lack. It’s from a mentality of the alienating parent never really feeling love or believing that they deserve it. I believe that these limiting beliefs stem from the alienating parent’s childhood by the way they were treated or the way that their parents communicated with them. Alienating parents do not take the time to heal their wounds from the inside out. As I’ve been doing this work with hundreds of target parents and their children, adult children of parental alienation, living and applying it in my own life, and with a small focus group of alienating parents the common thread in the alienator is that they are coming from limiting beliefs that they don’t deserve love. So they graciously pass on their gifts of the limiting belief system of non-deserving mindset. They are behaving in a way that continues to manifest their greatest fear, which is they will never receive love because ultimately they believe they don’t deserve it. The alienating parent projects out into the world, and does to others what they really feel they deserve for themselves. I told myself that I’ve always wanted to go to the Rose Parade, which was true ,but looking back on it now the child in me really wanted the opportunity to see my mom. Even though we’ve never been close, she’s always taken the divorce out on me (probably because I look like my father) but there’s a part of me that desires a healthy loving bonds and relationship with my mother. I was grateful on New Year’s Eve when my dad’s little brother my uncle Joe’s, family called me to let me know that they too were going to the Rose Parade something that they had never done living in California their entire lives. They were taking a tour bus in from San Luis Obispo my hometown and so I took that as a sign from the universe that I needed to get to Pasadena no matter what. On the Metro train ride up and had mixed feelings. I was elated to see my extended family whom I love very dearly and I was nervous that my mom would be a no-show. I was keeping the faith that we were there 6 1/2 hours before the game that certainly in that amount of time we would be able to connect even if it is just briefly. We got to the parade met up with my extended family and I continue to call my mom only to get voicemail. I have a sinking feeling that she probably would be a no-show but I kept watching those thoughts out of my mind as I’m a believer that thoughts become things and I didn’t want to manifest that. At 9:30 AM my mom called at butterflies in my stomach kept an open mind and answer the phone. You can imagine my disappointment and broken heart when my mom said they were already in the football stadium six hours before the game starts again it was the same excuses we had to get in our parking spot, there’s so many things to do with the football stadium, we need to get to our seats. Then the next day to read my mothers post Facebook how much fun she had at the Rose bowl and how much she loves her sister and mother that she saw while she was in California, family which she alienated us from most of our childhood, said horrible things about them and then of course when her kids were forming relationships with them in adult hood she went and sabotaged that. So now I no longer have a relationship with my grandmother, this is a whole other story for another day. You can imagine how someone could be hurt, become the victim and take all of this behavior personally. I admit I was crushed at first even shed a momentary tear. Then I sucked it up remember the place of which my o=mother operates the place of lack and limiting belief she does not deserve love and I loved my self and energetically sent the love out into the universe for her. I didn’t let the Tragedy of the Roses ruined my day, nor did I let that bring in 2010 on a sour note. I know in my heart that I’m a gleaming reminder to my mother of her deepest fears her greatest pain in her lack of love limiting belief system. I let that be the divine gift the universe was providing me which was the reminder of how important my mission is. How important it is to be the voice and force of change for families moving through a divorce and beyond. I share this with you today not from the victim mindset but from an empowered place. I share this with you today because I think it’s important to share authentically with people what happens in families that are wrought with parental alienation. I share this with you today because in my life and in my business I am striving to do and to teach change. I share this with you today to let you know that you at any moment can change or limiting belief system. You have the opportunity to do, be, act and react differently. I know that this journey that we are all on can be difficult, challenging, and wrought with pain. Is how you choose to handle the difficulties challenges and pain that will cause quantum leaps in your life and in your relationships. I hold out hope for my relationship with my mother. I hope to be able to express myself in a way this year to let my mom know and show my mom that although I don’t agree with her treatment for her behavior that my love is unconditional. I hope to be able to express myself in a way that only with my mother but with everybody in my life that love is universal and that love comes from the inside out. My intentions this year with Conscious Co-Parenting Institute is to continue to raise the awareness and push forward the journey to eliminate parental alienation globally. I do know from my own personal experience and in the work that I do that when we become aware of our limiting beliefs we increase our consciousness we can shift our behaviors, take responsibility for our contributions good bad or different, and we can love ourselves unconditionally and it is from this place that the world and the global consciousness shifts.